Powerful but Vulnerable Jews wield a good deal of power in contemporary America but cannot assume this to be a permanent state of affairs. Despite their power, many Jews feel a growing sense of unease. 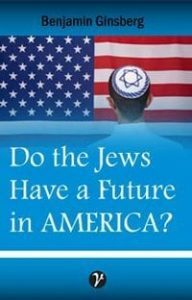 A wealthy and successful American Jew recently asked me where the Jews could go if and when they had to leave the United States. Good question.